Commercial Pest Control Sacramento: What Types Of Rodents Do You? Were you aware that almost all of the rats and mice that infiltrate people’s property belong to two very specific species? If not, let us give you a bit more information. Seriously, there is one type of mouse and one type of rat that have become so incredibly dominant in their environments that they are truly the only kinds you are likely to see in your home. Because these two species have become so prevalent, they have also become extremely easy to identify. With unmistakable characteristics and habitat preferences, it should be pretty simple for you to figure out what type of rodent has infiltrated your home. Below you can learn more about each of these species, why they enter your business, and how to prevent them from sticking around. As the name suggests, these mice are most often found in homes…or in your case, businesses. It’s likely that you are familiar with what a house mouse looks like because they are also the type of mice you would see at a pet store. While they are not particularly dangerous, as they are not aggressive, they can be quite the nuisance. Known to be fairly dirty and to chew through many different things in your home, house mice may not pose a direct threat to your health, but you certainly do not want to have them around if you can help it. The main way people spot house mice is to keep a lookout for when they move. House mice are extremely curious and they like to explore their surroundings when they are not sleeping or eating. This means you are likely to spot a house mouse as it ventures around your property. While they certainly do come out more at night than during the day, spotting this type of mouse is not that uncommon. House mice tend to range in color from light to dark brown, black, or grey. They are also very small, measuring only about 7.5 to 10 centimeters. It is likely that you will spot their droppings far before you ever spot them, however. These droppings look like tiny, dry, pellet-shaped pieces of dirt; often like rods with pointed ends. Mice do not hibernate, which means when the temperatures begin to drop, they have to find someplace where they can find food and stay warm. Businesses and homes alike are both the ideal location for mice to wait during the winter, and if the food is accessible, chances are they won’t want to leave once warm weather returns. Many people do not know that mice are great at jumping, climbing, and swimming. This allows for them to enter indoor spaces in a number of ways. They can also fit through any space that is the size of a pen cap or larger. This includes gaps in foundations, siding, insulation, and near utility lines. In order to prevent mice from entering your commercial space, you’re going to need to make sure that you have sealed all of these areas that will allow for a mouse to enter. If you have the choice between seeing a mouse or a rat in your place of business, you certainly want to see the former. After all, rats are essentially bigger and nastier versions of mice. The Norway Rat, also known as the “brown rat,” is the most common rat that you are likely to come across in your commercial space. Every rat in New York City is a brown rat if that gives you an idea of how common they are. One of the reasons this is true is because these rats have adapted to thrive in human-dominated environments. They can also eat nearly anything that they come across. The main difference between mice and rats, however, is that rats can be much more aggressive than mice when they are cornered. They may even attempt to bite humans if they are trying to defend themselves or escape a situation. Additionally, rats tend to carry many more diseases than mice. These diseases include things like Weil’s disease, viral hemorrhagic fever, rat bite fever, cryptosporidiosis, and more. When you see a Norway rat, you are sure to know it. These rodents are between 8 and 10 inches long and will weight anywhere from 7 to 15 ounces. Their fur is much coarser than the fur you would find on a mouse and it is likely to be a dirty dark grey or brown. While this certainly does sound menacing, it’s good to know that the eyesight of Norway rats is notoriously bad. This is why they will stick to a set routine when they forage for food and water. In order to stay warm, stockpile food, and keep their babies safe, Norway rats will burrow to make nests to reside in. They will accumulate dirt, dust, and other grime to build these nests in dark and hidden areas. If you have any areas in your commercial space that have these characteristics, you may want to check them out to ensure no rats are residing there. The reasons why rats like to reside inside of your place of business are very similar to why mice will do the same. However, one of the main differences is that rats need a warm and safe place to have their babies. Yes, we know, this is not great news. It is important that you know, however, that these types of rats reproduce extremely quickly. And as the rat population in your business grows, so does the filth and the damage that they cause. You do not want your business to be overrun by rats, and therefore, you should always make sure that there is no food or water source that rats can use or would be attracted to in your commercial space. Without taking these precautions, you could end up with a full-blown rat infestation. It is a bit harder for rats than it is for mice to enter a space, but not that much harder. Norway rats are known to be able to squeeze through a hole that is the size of a quarter. Not to mention, rats are incredibly skilled climbers, allowing them to even enter gaps or holes that are in the roof of your building. Additionally, rats can chew through utility lines and cables in order to create passages for themselves. In some cases, rats will burrow underground to gain access to exposed insulation. Do You Have Rats & Mice? Having mice or rats in your commercial space is not only bad for business, but it is also potentially bad for your employees and your customers. We know you would never want to expose either of these groups to harmful rodents and therefore, it’s time to find a solution. If you think you may have a mouse or rat problem in your place of business, you need to contact your local pest control company today. Rodent infestations can get out of control extremely easily which means you don’t have time to waste. 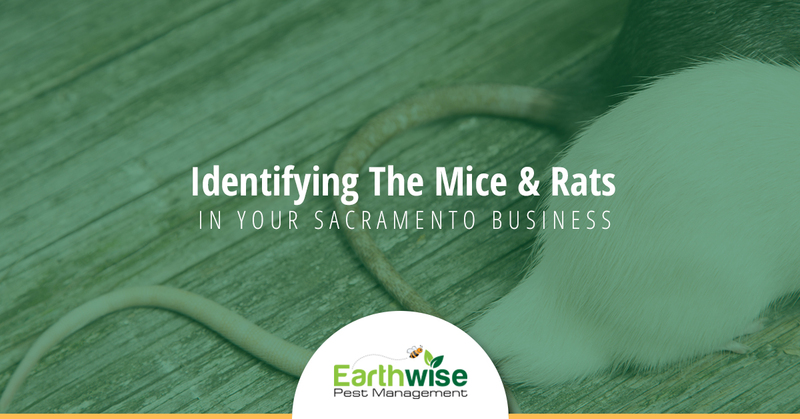 Call us right now for more information about our rodent control services in Sacramento.